Leaving a 08 MDX that, in manual mode with 300hp hustles quite well. SHAWD is pretty good. Ferrying around 9 and 6 year old children who will be tall (I'm just over six feet), rear leg room is important. Don't think I need the utility I once did: Great Dane and Boxer died a couple years ago, no dogs in the immediate future but maybe in the next 2-3 years makes me want a wagon. I want a car, not a truck, don't like the drive experience of current MY TLX and MDX from the dealer. GTI Autobahn, but since I'm at it, the R isn't much of a stretch. Entertaining drive, modicum of utility, so long as it's not diesel it's not bad? WRX lacks hatchback utility, doesn't clearly offer a reliability advantage over the long term, backseat is smaller? Going more mainstream the current MY Accords get generous reviews, but I dislike the infotainment unit. Unengaging drive. Used 2014 E350 estate with 26K miles and right at $40K has me interested. New Volvo out of my price range. 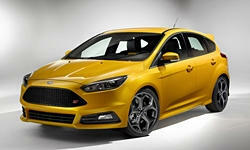 Don't particularly want a Ford, the ST and RS considered but...GTI/R. I bought a GTI in December after VW bought back my diesel Sportwagen and can share my biased experience, focusing on that model. I thought I would replace it with a German or Swedish used wagon, but couldn't find anything that I liked as much as the GTI and the GTI actually had more back seat space than lightly used compact wagons from Volvo, BMW and Audi. 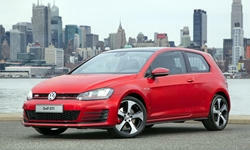 I heavily considered going with a Golf R as I love them and the understated styling. In the end I settled on the GTI as it is lighter and more fun around town and I already had a set of snow tires from the Sportwagen so I wasn't as concerned about not having AWD. Most of my driving is city, so I wouldn't see the performance benefits on a daily basis and would sacrifice mileage. R also has higher limits so you have to drive it harder to get the same fun out of it. I just couldn't justify the extra $8-10k at this point in my life, but perhaps next time. I have an 8 and 10 year old and they fit just fine in the car's back seats. I plan to keep it for 6+ years and don't have concerns as it has a nicely sized back seat for it's class. Cargo space behind the back seat is superior to compact sedans and isn't bad. The space isn't super deep, but it is tall thanks to the boxy profile. Very good space with seats folded down. I have a large Yakima Skybox that I can fit with the factory cross bars that I bought for longer trips. The OEM bars can be installed/removed in minutes. VW/Audi has come a long way in the past decade and a half in reliability according to all of the rating sites. They are now mid pack, so still not Honda/Acura reliable. This is my second VW after 20 years of driving Honda's and Acura's and so far so good. Just keep in mind that with a German car you can't neglect service like you can with a Honda. Do everything by the book, follow recommended fluids, intervals, etc.... DSG service is $500 every 40,000 miles. Just know up front that maintenance will be slightly more involved in a German car. I am a 40+ year old Architect and didn't consider alternatives like the WRX or Focus ST/RS as the styling of those cars didn't appeal to the design snob in me. My Midnight blue GTI is just under the radar enough and the interior quality is Audi-like. Nice plastics and a very rational layout. Exterior design won't feel dated in 8 years. In the end, I didn't consider sedans as I like the utility of 5 doors and didn't consider SUV's as I like the fun of cars, so my options were narrowed. I never considered the E350 estate, but perhaps I should have. Nice looking cars. Good Luck! When we ordered my wife's 2014 E63S wagon, we test drove the E350 wagon and, while we liked it, we found the power unexciting. Having never owned an MB before, I didn't know that I was driving it in "C" mode which starts the car in second gear. If you drive one, test it in "S" or "S+" mode as well. Also, note that the E350 wagon is available with either a sport or comfort suspension. We only drove the sport suspension version so I can't comment on the comfort version but the sport version handled nicely. If you can spring for the extra bucks, try to find an AMG version (E63 or E63S). 2014and newer are AWD.They depreciate very rapidly in the first few years and are a lot of fun to drive. 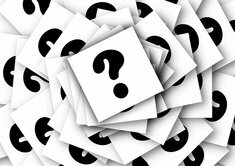 Should you choose an AMG version, purchase an extended warrantee. Ours has been trouble free but I am told that repairs are expensive on AMG's. The GTI is great, but check out a 2017 Kia Soul Turbo. It might be way off from what you are looking at though. It has 201hp, a 7 speed dual clutch, 0-60 in 6.5 seconds, and a lot of space. It's also a great value starting at $23,000 for the base turbo and $27,000 for the turbo with all the features including power follding side mirrors and a panoramic sunroof. 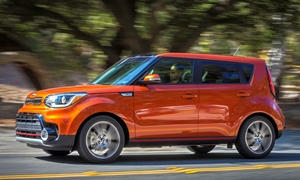 Car and Driver rated the Soul 5 stars and they usually highly rate only fun cars. As Dnslater suggests, the GTI is actually more fun to drive than the Golf R unless the road in question is very challenging. Most fun with a manual transmission. The 2016 and up Cooper S Clubman might also be worth a look. As with the VW, some are terribly unreliable but most are good. 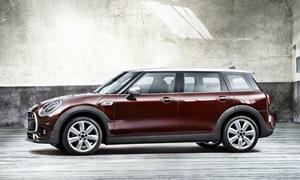 Unless you're highly risk averse the GTI or Mini is probably worth taking a risk with. You should at least test drive the Focus ST and Subaru WRX to rule them out. One you drive the GTI, Golf R, Clubman, WRX, and Focus ST you'll probably know which you want. I just spent a week with the 2017 Kia Soul 1.6T. Quick and practical, but you won't mistake the driving experience for something European. A very good car, but not really a fun one. A manual transmission would help. This week I'm testing a 2017 Elantra Sport with the same engine but tighter handling and a manual transmission. The best compact yet from Korea, good enough that I wish they offered it as a hatch (the related Kia Forte SX is offered as a hatch but doesn't handle as well), but definitely a level below the 2.0T cars listed above. A major advantage of the Koreans: they should be much less expensive, with the possibility of a screaming deal. The next Honda Civic Si could be an excellent option. Available next summer? 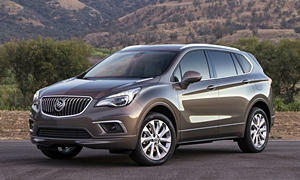 If you want something that is near luxury but good driving dynamics look to the German-based, Opel derived Buick's. 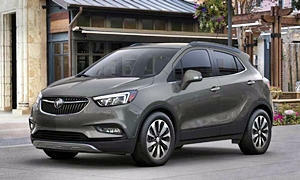 They have turbo-4's with a good mid rpm punch for passing or mergjng., best in class AWD systems, very good road handling, but still provide Buick's Quiet Tuning in between the turns. FYI, Buick has outsold Acura for years now.